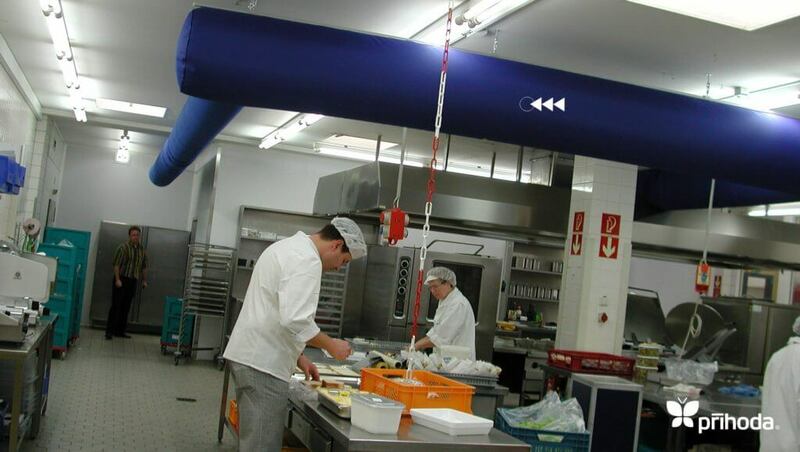 Space in kitchens is usually minimal, and their extreme load with heat and vapours requires intense ventilation. 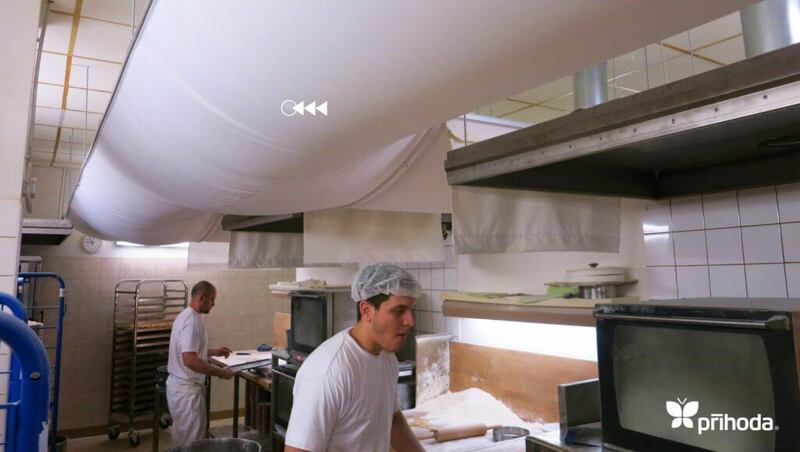 Prihoda Fabric Ducts disperse high volumes of air uniformly into this environment without creating draughts. The fabric material used is resistant to steams and vapours and maintenance is very quick and easy. 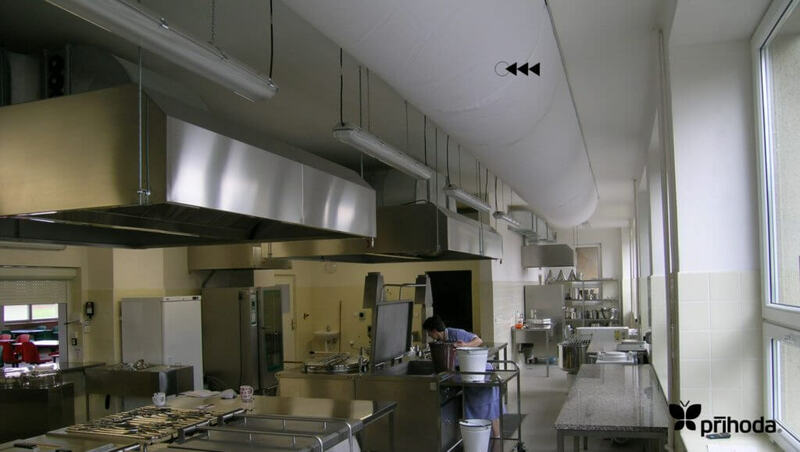 Compared to a traditional stainless steel installation Fabric Ducting is a much lower purchase, installation and maintenance cost and easily achieves sanitary and hygiene demands due to its cleanability.